A fantastic wrinkle eraser eye cream that works in 60 seconds! * This product works on the whole face and the neck providing instant results and long-term benefits. Make-up friendly!!! Skinov8's Black Magic Instant Wrinkle Eraser Facelift is an the incredible product that gives you instant gratification, instant results by actually lifting, firming, minimizing pores, tightening, and erasing wrinkles, fine lines, and puffiness from your skin within seconds. What's more, it contains collagen and powerful peptides for long lasting skin improvement, making it an all round winner. How do I use the Skinov8 Black Magic instant facelift? 1. Cleanse face thoroughly and gently pat dry. This is a very important first step in achieving optimum age-defying results. Then, shake the bottle well. 4. After the Black Magic Instant Wrinkle Eraser has dried completely, check the perimeter of targeted areas. If there is any residue noticeable, lightly pat over area with a damp fingertip and let air dry for several seconds. Do not rub. 5. Allow to dry thoroughly before applying water-based makeup. Once the Skinov8 Black Magic Instant Wrinkle Eraser has set entirely, continue your make-up routine as usual. A moisturizer can be applied in a thin, light layer. One useful tip is to add a dime-sized amount of Black Magic directly to your moisturizer before applying to skin, so that it works with your first application of the serum. 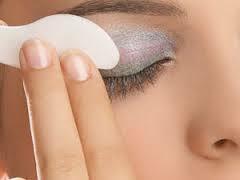 Take time to gently pat the water-based make-up onto the skin, if applying foundation. Please note, RUBBING into the skin WILL DISRUPT the temporary instant facelift and firming effect. I have allergies or very sensitive skin. Will the instant facelift cause a reaction? Skinov8’s instant facelift is 100% hypoallergenic and is designed to work with even the most sensitive skin types. That being said, please discontinue use if you experience persistent skin irritation. Can the instant facelift be used with makeup? YES! Skinov8’s instant facelift is designed to work under makeup or by itself. You can only use mineral or water-based makeup, but not oil-based makeup, since the oil-based products tend to negate the effects of the facelift. I'm getting a white residue on my skin after I use the product. I would like it to work for me. What am I doing wrong? Less is more! Try applying less of the product. However, if you do see a slight white residue simply dab that area with a damp fingertip or any type of regular lotion or moisturizer. Do the effects wear off gradually? Yes and you can feel free to reapply whenever you feel you need a boost! How often can the instant facelift be used? Everyday! This incredible product lasts for 8-12 hours, depending upon each person's skin and their environment. We suggest reapplying more often if you are perspiring or if you have oily skin. With daily use, one full-sized bottle of instant facelift should last 4-6 weeks. Skinov8 Black Magic is a serum containing peptides and Kombuchka (black tea ferment) and as such, apart from the instant gratification, it also offers long term benefits in terms of skin radiance and smoothness. This product has been a favorite of mine but in the last year or so the quality has decreased and that is a shame even the pump canister it comes in is poor quality and you end up losing most of your product because the pump itself is faulty and air gets in which reduces the products intent. Please find better and more quality products in this range or improve this range even though I will continue to purchase it. Did not know what to expect but the product works really well around the eyes and perhaps not so well around the mouth - perhaps because I talk too much. I use this product under the eyes ....lines vanish within seconds....I would not hesitate to recommend this Wrinkle cream. Need better pump. Doesn't last. Eyesential wins hands down in comparison. I think this product would be better in a clear bottle and you need to review the pump doesn't work very well. It also becomes very glugy around the pump after a few uses. The product itself is not bad but it really doesn't last long. To give yourself a touch up you'd need to remove all make up, so no not usually convenient! The Eyesential beats this product hands down. Good quick fix but need a bit more instruction. Expensive but should have got the two pack offer. I have been using eyesential for years and while it has been a good product but found it could become dried and crusty under the eyes. Also it does not like to be mixed with makeup. I sampled the purse pack of Black Magic and it was so much better. I have just ordered x2 of the larger bottles. Good product, but seems to lose it's effectiveness when I put makeup on. Maybe I'll try mixing it with a water based foundation. Thank you for your feedback. You do need to use water-based makeup with this product. If you mix a bit of Black Magic in your water-based foundation, you should achieve the desired result. After the Black Magic has dried off, you may apply blush as well, but with light brush strokes only, so as not to ruin the facelift effect. I purchased Skinov8 wrinkle eraser as I had used eyessential(?) previously and although it worked I found it irritating.This product is fabulous because you can mix a little bit of moisturiser with it, you don't have that horrible dry, tight feeling around your eyes. Don't use too much as white powder will appear!! Great product. I find this product very helpful in making my under eyes look so much smoother especially if I am retaining fluid. An effective product, but be sure not to overdo amount being applied, or you will have white patches! Blend carefully and it will work well. I tired this alone and then put foundation over the top and found that a lot of the effect vanished. Then I tried mixing it with a water based foundation in a tone slightly darker than I usually wear ( to allow for the dilution of colour). This worked perfectly, patting it right after application dulls the sheen it tends to get. So this product gets five stars from me. Just placed my second order. Love this product. Have recommended it to friends. I was initially concerned about not being able to use my usual moisturiser with the Skinov8, but a tip on the packaging recommended mixing them in the palm of your hand. This has worked brilliantly. I love the way it makes my whole face feel firmer. Great product. I mix 1 squirt with my moisturiser in my palm , that way I don't get a white residue and within minutes I look years younger the price is a little high but at least it works. I used to buy Eyesential (well only once), before I discovered this product. Both seem to work, but Black magic is makeup friendly which is importantant for me. Highly recomment this. I find the price a bit too high (is why I'm only giving 4 stars), but 30ml will last a long time for me.